Whether you’ve been envious of your buddies in the car club or it’s just something you’ve always wanted, many car enthusiasts would love to have a residential garage lift to turn their garage into the ultimate in automotive awesomeness. When you decide to take the plunge and buy a lift, you want to make sure you do it right the first time. We’ll walk you through everything you need to know to avoid a serious case of buyer’s remorse. If you’re in the market for a residential car lift, the first thing you need to decide is 2 post or 4. If you’re looking for a spot to store your car, and you don’t intend on turning a wrench too often, a 4 post lift is going to be your best option. 4 Post lifts support the entire car. Two post lifts only support the body of the car. While they make it easier to work on and around the wheels, they allow gravity to put unnecessary stress on the wheel assembly. You should also take into consideration if you’re ever going to move your lift. Most 4 post lifts come with casters which make them mobile. However, two posts lifts must be anchored. When you’re a little short on square footage. You can put your prized auto on the lift and keep your everyday ride underneath. Or, if you have more tools than you do space, you can use the area under the lift for storage. This is one of those rare times in life when you can have your cake and eat it too! 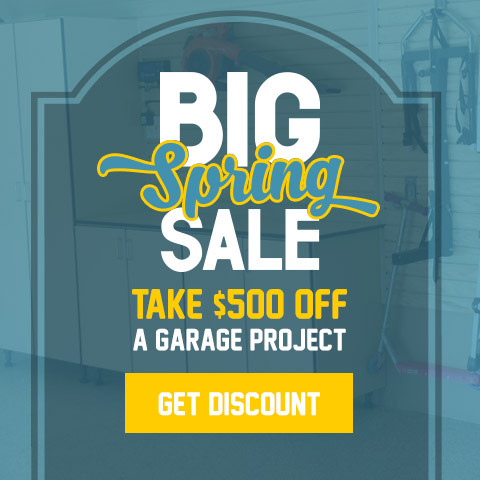 If you enjoy spending your free time tinkering with small upgrades or saving money on repairs a garage lift might be just what you need. You’ll be able to save money and time when it comes to upgrades and repairs. Having your own lift also gives you the peace of mind and satisfaction that comes with a job well done. St. Louis is known for three things Cardinals baseball, toasted raviolis, and wacky weather. Most car buffs cringe at the idea of taking their daily driver out in bad weather, especially in the winter. You certainly wouldn’t want to take your sports car or classic car out in nasty weather. A residential car left is perfect if you want to keep your baby in the garage. Your car will stay elevated and out of harm’s way. My grandfather was a classic car collector. To fuel his hobby, he installed a car lift in the garage where he kept his prized possessions. My grandfather was the type of person who would never pay anyone to do something he thought he could do on his own, even if the project was a bit over his head. Needless to say, he installed his lift himself. His pride and inexperience turned his car lift into a very expensive storage rack. The lift was not in an ideal location, and getting cars on and off routinely turned into a major headache. It was sort of a poorly Kept family secret that no one really wanted to go near the lift. Looking at how the lift was anchored just didn’t inspire confidence. We all took the long way around when walking by it. 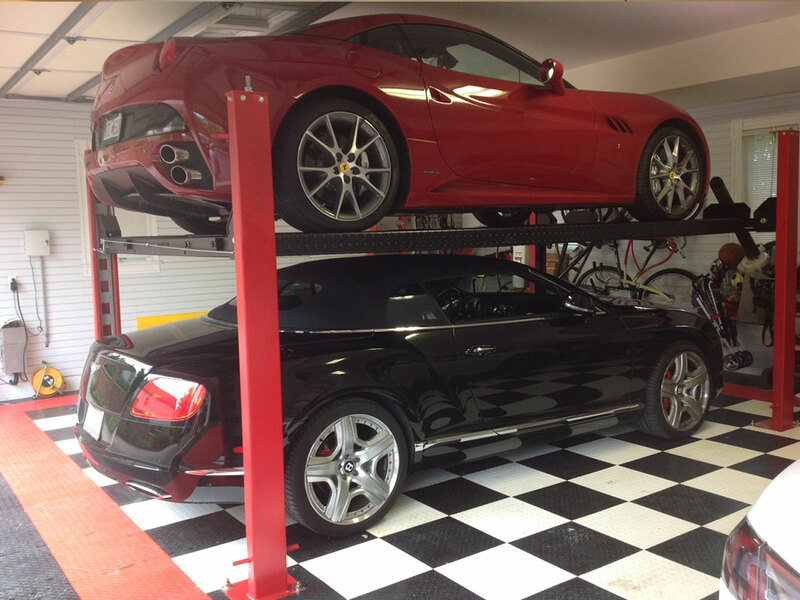 Purchasing a residential garage lift is a big investment. You certainly would not invest your money without choosing the right financial advisor. 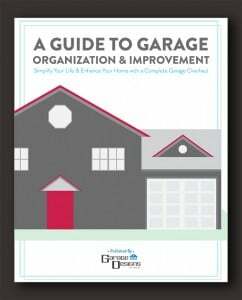 Installing a residential garage lift is no different. For your safety and to make sure you get the most out of your garage lift you want to make sure you choose an installer with an impeccable reputation. Our crew Garage Designs has the technical skills and experience to make sure you get the most out of your lift no matter what your needs are. Don’t take our word for it. 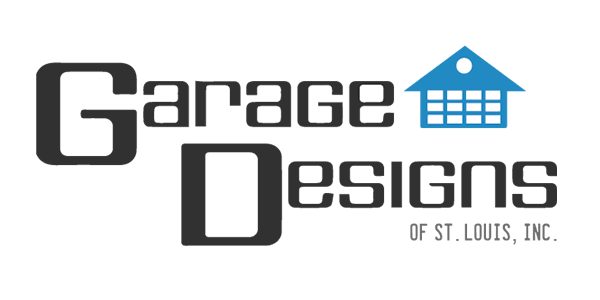 Visit our reviews page to see just how satisfied our customers are.